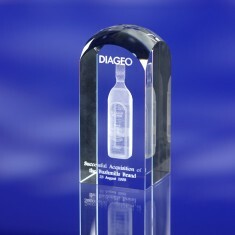 Hand out an award that breaks the mould whilst holding that high quality feel with our promotional 3D Engraved Glass. All of our branded 3D engraved glasses come supplied in high quality gift boxes and have outstanding branding potential. Our high quality engraving makes for a perfect personalised award or gift shop item. We have a range of customised 3d engraved glass shapes that can all be branded with your design, depending upon your preferences. 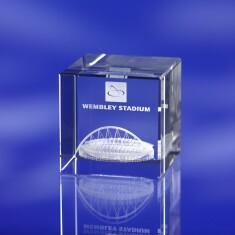 One of our classic shapes from this range is our personalised 3D Engraved Rectangle Paperweight. 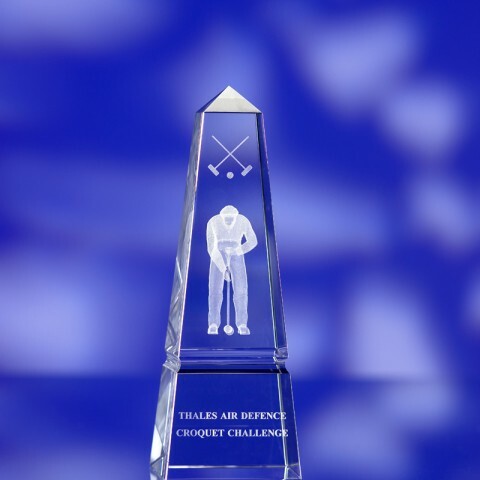 The simple shape is perfect for an award or for a gift shop product and the 3D engraving adds a nice finishing touch. 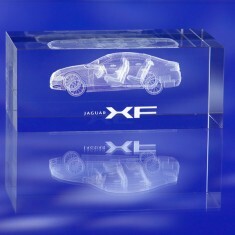 If you’re after a more unique shape, our customised 3D Engraved Tower Paperweight has got you covered. Coupled with your artwork, this glass can be an outstanding award. In need of a specific amount? Pop your favourite into your basket and our quote basket tool can work out how much your total would be! Optical crystal. High quality. Deep laser engraved detail. Detailed branding. The perfect commemorative gift. 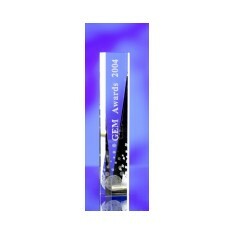 High quality optical crystal paperweight, las..
High quality optical crystal, laser engraved, deep into the glass creating a m..
High quality optical crystal, laser engraved deep into the glass creating a ma..